Shanghai university enrolls special member: a goose! A university in Shanghai has become the latest Internet sensation after it recently enrolled a very special member: a goose! 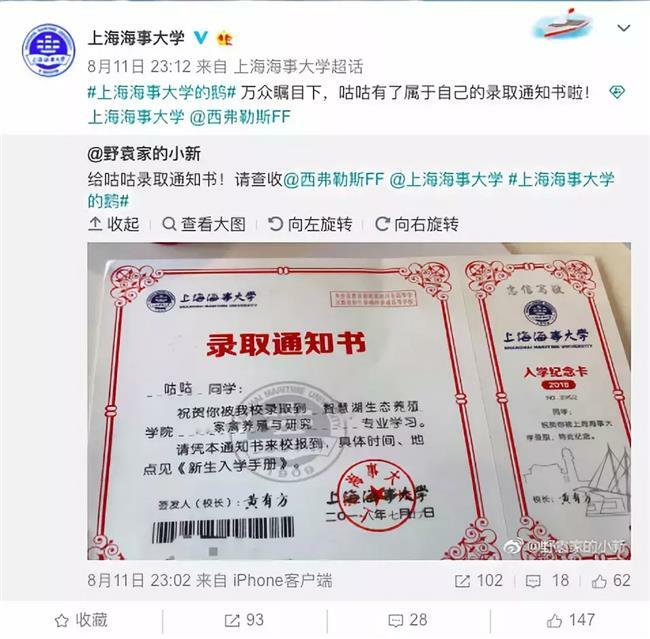 An admission notice from Shanghai Maritime University for Gugu the goose. 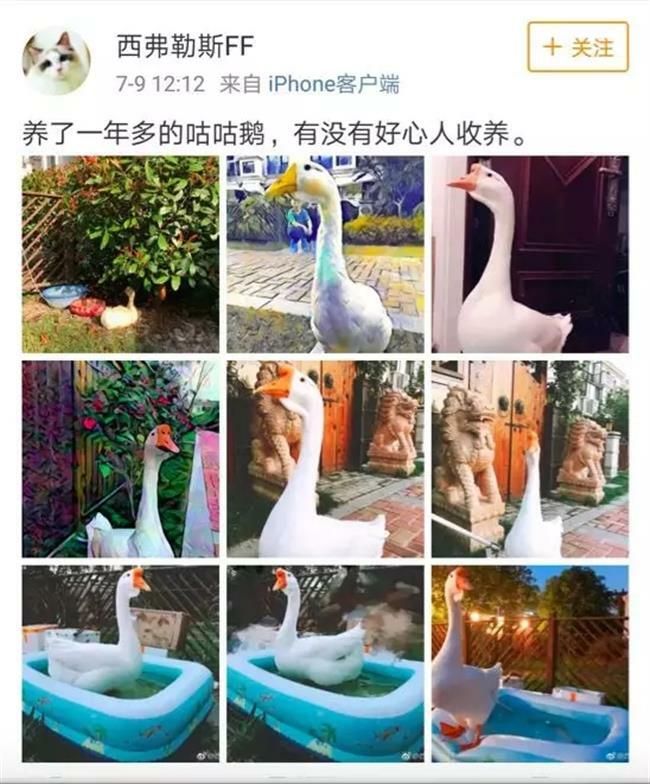 A netizen posted photos of her pet goose named Gugu on Weibo a few days ago to search for someone to adopt it because she had to move away, China Youth Daily reported. Photos of handsome Gugu on Weibo, posted by its previous owner. 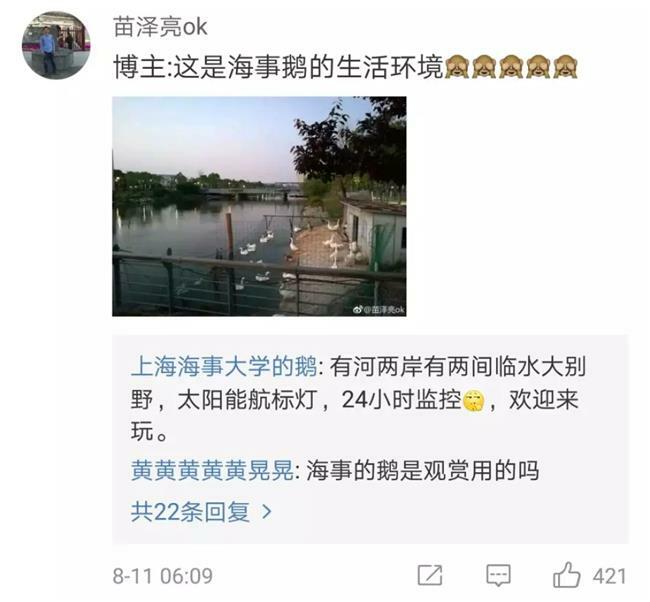 She also left a message with the official account of Shanghai Maritime University, and asked whether Gugu could live there since she heard that the university already raises geese on campus. In the post, the netizen said she has raised Gugu for a year and a half, and that the bird is "very handsome." The university soon accepted the request, replying on Weibo on August 10 to welcome Gugu to join the big family of geese on campus. Shanghai Maritime University welcomes Gugu to join the big family of geese on campus. Chinese netizens reacted quickly as well. 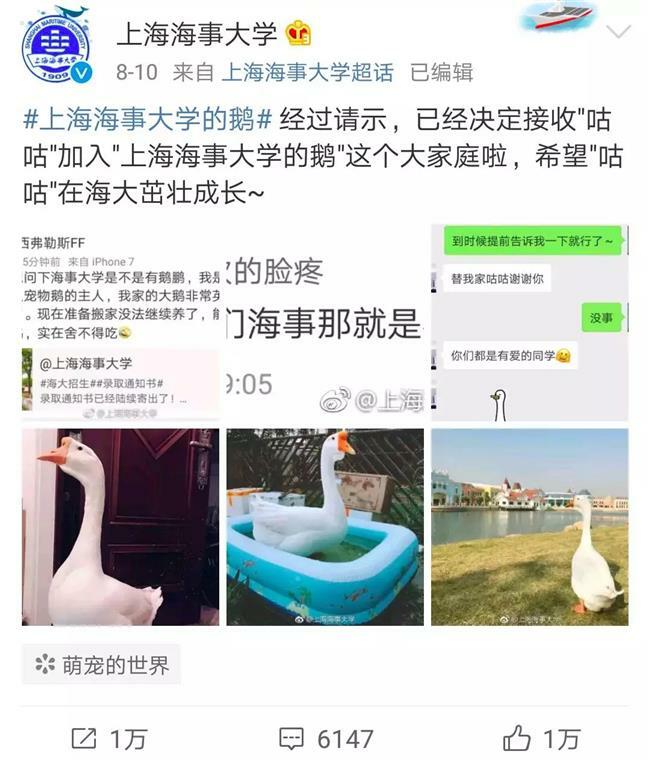 Some congratulated the goose for being "admitted" to the university, while others recognized how handsome the bird is, joking that he might become "a school hunk among the geese." Some university students also expressed their warm welcome to Gugu, with someone remarking, "It can help improve the overall appearance of the geese in our school." Others told the previous owner to set her mind at ease as the living environment of the geese on campus is great. A web user posts a picture of the living environment of the geese on campus. We hope Gugu likes his new home and finds a wife there soon, just as his previous owner wishes.